The results of countless works of research make us say that the stimulation before birth leads to the development of the baby's physical and intellectual potential, but we consider even more important the verification of its effects to optimize his emotional potential. This program of education and stimulation of the baby before the birth intends to be a simple and practical guide to transform the pregnancy into an experience of love and communication between the father and the mother, and between both and the baby that will be born. This natural program of stimulation offers a series of techniques to help the fathers and the mothers to solve their own emotional conflicts, it also provides strategies to communicate to their baby that they accept him and they love him, stimulating him in a harmonious, scientific and affective way. Through simple activities in their daily life, the father and the mother acquire enough trust and tranquility to reduce the production of stress hormones (adrenaline, noradrenaline, etc.) that circulate in the maternal blood flow and enter the placenta affecting the baby. The activities also propitiate the production of other substances, such as endorphins, that reach the baby transmitting pleasant sensations to him. To obtain good results the program is structured for its application throughout the nine months of the pregnancy, but it can be started in any moment of the gestation. Each month has some concrete activities, most will be repeated during the whole gestation and others were developed for a specific period of time. If you'd like, you can carry out all the activities, or choose only those that adapt more to your likes and needs. 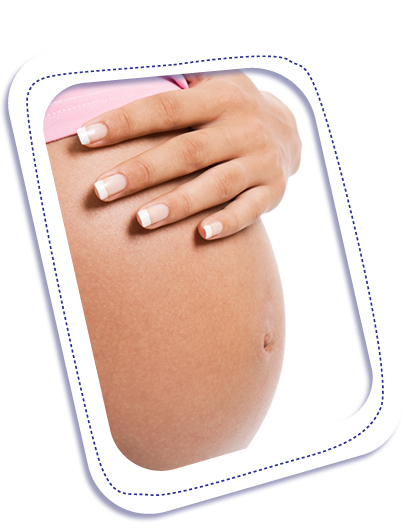 The activities of the program are especially suitable for the pregnant woman. Nevertheless, the active participation of the father is seeked because the father's implication can optimize the results. The father's emotional world, what he feels toward the mother and his way of connecting with the baby before the birth are decisive factors in the success of the program of prenatal education. 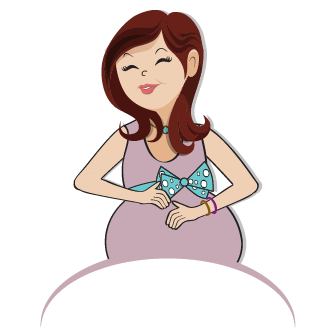 The support and the emotional security that the mother obtains from her couple contribute to the baby's well-being and happiness before being born and throughout his life. The families that have other children should try to make them participate in the activities aimed at consolidating the family bond. Even though the father can actively participate in all the activities that we outline here, there are activities specially addressed to him. The first groups of activities are thought so that you reach the necessary personal well-being to transmit to the baby the appropriate stimuli. THE EXERCISES OF RELAXATION AND HARMONIZATION have the main objective of helping you to achieve total relaxation of the body maintaining your mind active. When relaxing you will be able to recharge the body and the mind with energy and at the same time you will reduce the fatigue. THE MUSICAL SESSIONS are suitable to achieve emotional harmony and to develop your capacity to concentrate. The music will help you to reestablish your emotional balance, to reduce physical fatigue and to begin to communicate with your baby through the vibrations of the sounds. WRITING IN THE EMOTIONS NOTEBOOK is an activity designed to help you maintain the contact with your more intimate feelings and enrich your emotional world. To write daily will help you to bring to the surface your deep feelings and confront them. THE SECTION OF "PORTION OF LOVE" offers techniques to help you know yourself, to accept and, to love yourself and to be main character of your life. TO FEEL BETTER is a section in which you will find suggestions to alleviate tensions, to improve the state of your organism and to preserve your emotional balance. THE BREATHING EXERCISES are suitable for you to know the possibilities of your body and benefit from a correct oxygenation. THE LIGHT GYMNASTICS section does not seek to be a gymnastics program, but rather a series of movements that will improve the physical condition of your organism. WITH THE VISUALIZATIONS you will begin to learn the power of your mind and the most appropriate way of using it to your benefit.